The US manufacturing gauges continue to point to continuous expansion. All eyes are on the US Non-Farm Payroll (NFP) is scheduled for this Friday. The trade war is likely to steal the spotlight of the market as only second-tier indicators are scheduled for later on Monday or early on Tuesday. Minneapolis Federal Reserve Bank President Neel Kashkari is scheduled to speak at a Student Town Hall in Duluth, Minnesota at 22:00 GMT while monetary base is expected to increase 9.6% y/y in March in Japan. 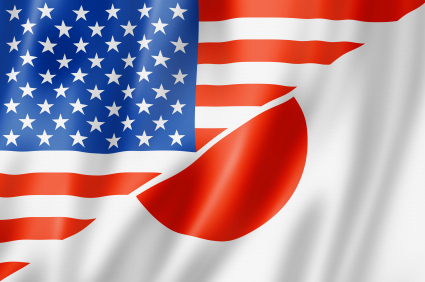 Most investors have their eyes set on the US Non-Farm Payroll (NFP) report due this Friday will provide much volatility across markets and the USD/JPY pair. Earlier in the US session, the Purchasing Managers Index (PMI) from IHS/Markit rose to 3-year high in March while, the ISM manufacturing PMI numbers in March came in at 59.3, confirming the rise of the manufacturing sector for the 107th consecutive month. The ISM Prices Paid in March increased to 78.1 from 74.2 in February suggesting that the underlying inflation is grinding higher in the US economy, especially as the price of oil is going up. The USD/JPY is currently supported by both the 100 and 200-period simple moving average. Support is seen at 106-106.15 and 105.31 swing low. If the bulls manage to break above the 107 handle resistance, the next scaling point would likely become the 107.90-108 swing high.